FLYNN IS A MULTI BISS,MULTI ROYAL BOB WINNER HIS WINS HAVE BEEN UNDER INTERNATIONAL BREEDER/JUDGES AND ALL BREED JUDGES WORLD WIDE. Flynn is a substantial dog, who exhibits the essential characteristics of the breed, head, coat, tail and temperament. 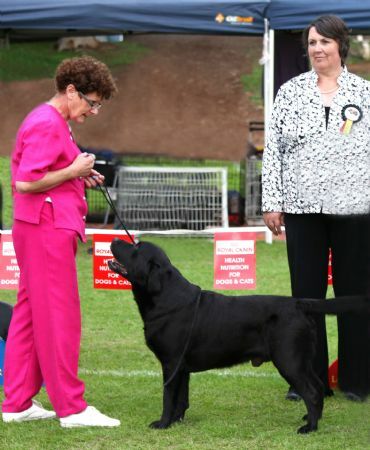 'Flynn' finished his title with a BEST IN SHOW at the Labrador Retriever Show of Victoria, June 2006. 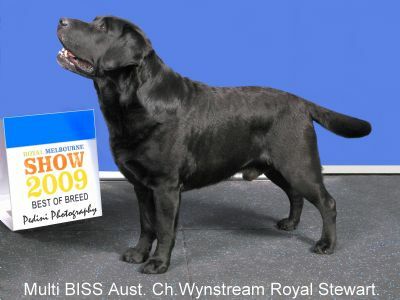 "A True Labrador, dog of quality, lovely outline, beautiful head and expression, well angulated, good coat, good compact body and bone, moved very well"
Labrador Speciality in Adelaide in May 2006, 'Flynn' was RDCC "A black of excellent breed type, good neck, well developed ribcage, good forchest, correct double coat"
Critique: "good breed type, lovely head, clean neck, good front and rear. 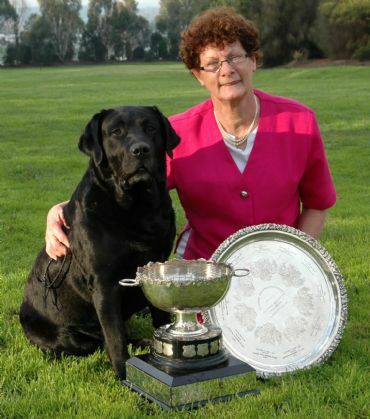 Good size body and good topline"
Although shown infrequently Specialised Breeder/Judges and International All Breed Judges recognise the breed qualities of this lovely dog. RIP Flynn you were a special boy that will be in my heart forever.